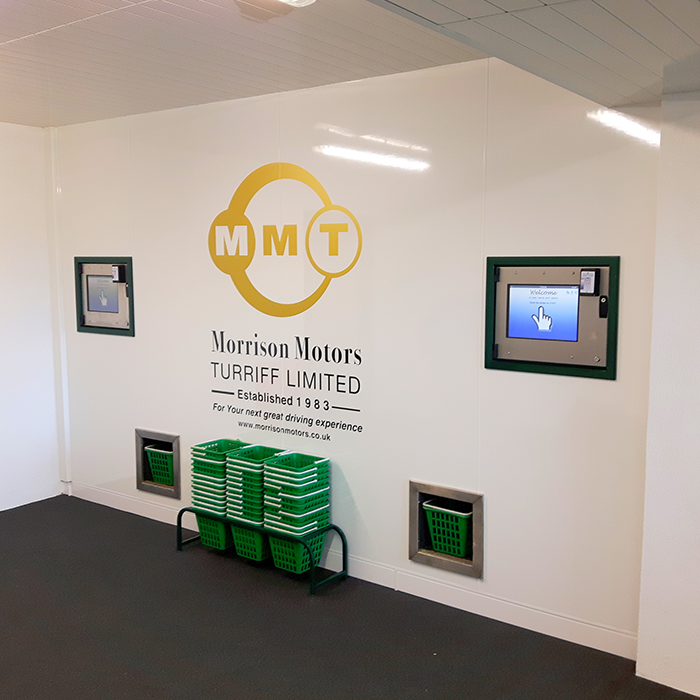 Designed to operate in the harsh conditions that ball wash rooms present, our range of elevators can be custom-made to suit your ball hopper arrangements, or combined with an our automatic washer to create a hassle-free ball management system. Our elevators are manufactured from a hot-dip galvanised chassis, clad in galvanised panelling. Sealed Aluminium rollers drive a high-quality belt with thermally-welded rubber cleats. Standard models are available to suit our ball dispenser models, and additionally we can build the unit to suit your requirements or replace existing machine. 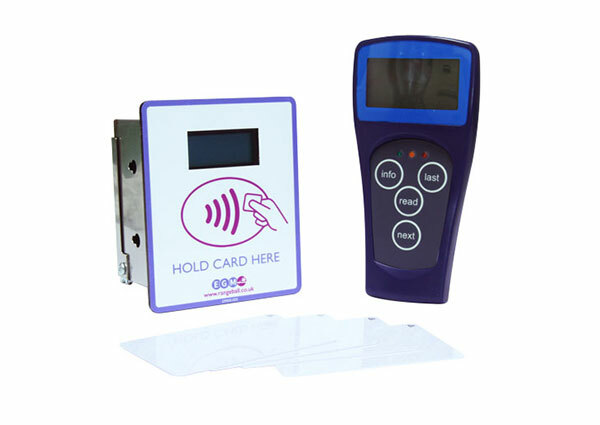 Please check out the pictures to see examples of what we’ve produced for customers. If you’d like to discuss your requirements then just drop us a line by telephone or email. We’re happy to advise. 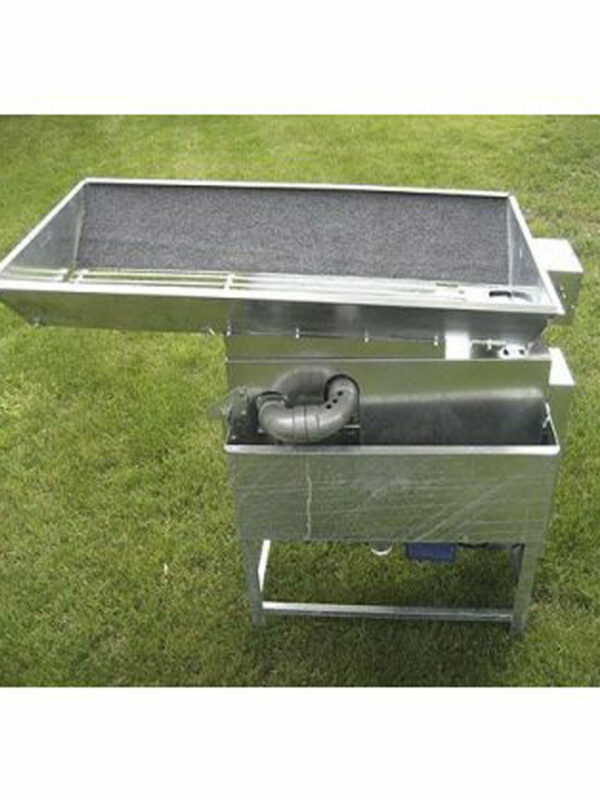 Available in stand alone or automatic specification (automatic units are driven by our unique ‘Semi-Auto’ washer system. 230v, Single-Phase electrical supply required. Fully-adjustable belt drive, with jointed reinforced belt. Designed to operate in the harsh conditions that ball wash rooms present, our range of elevators can be custom-made to suit your ball hopper arrangements, or combined with our automatic washer to create a hassle-free ball management system. The elevators are manufactured from a hot-dip galvanised chassis, clad in galvanised panelling. 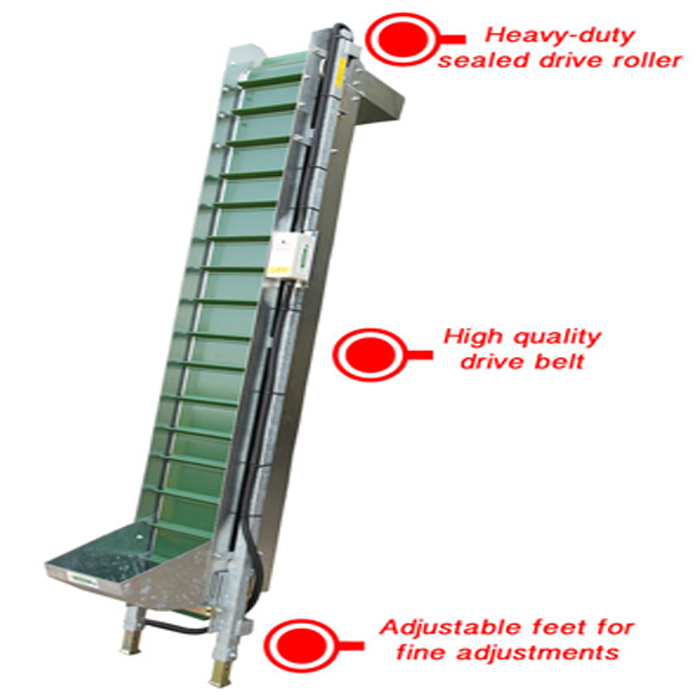 Sealed Aluminium rollers drive a high-quality belt with thermally-welded rubber cleats.